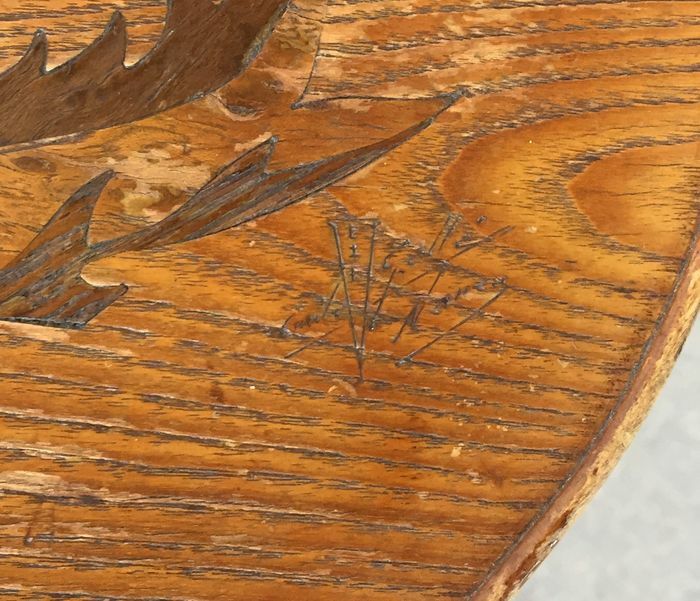 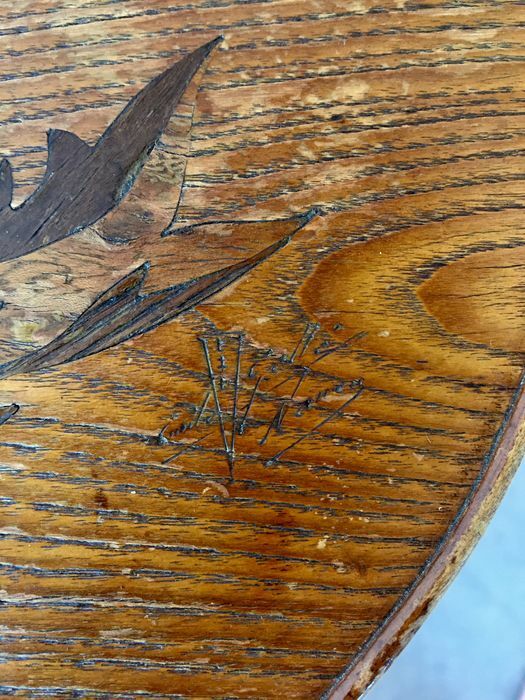 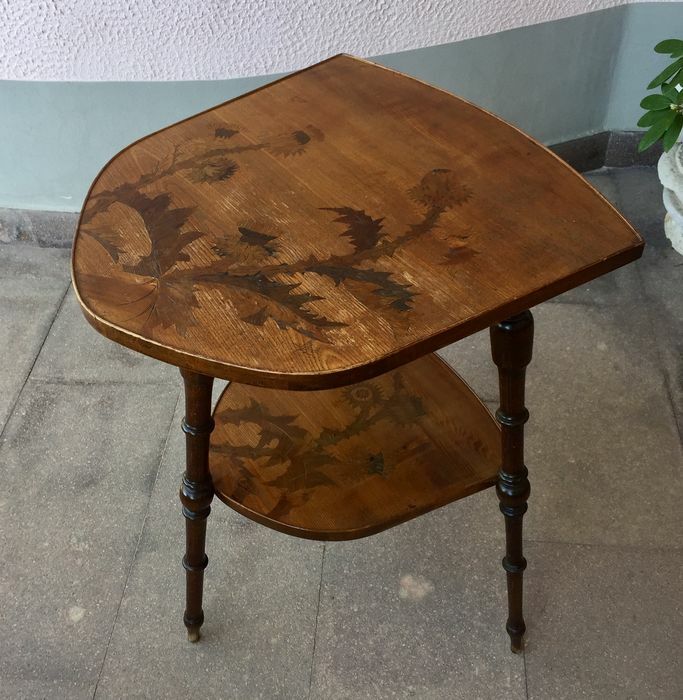 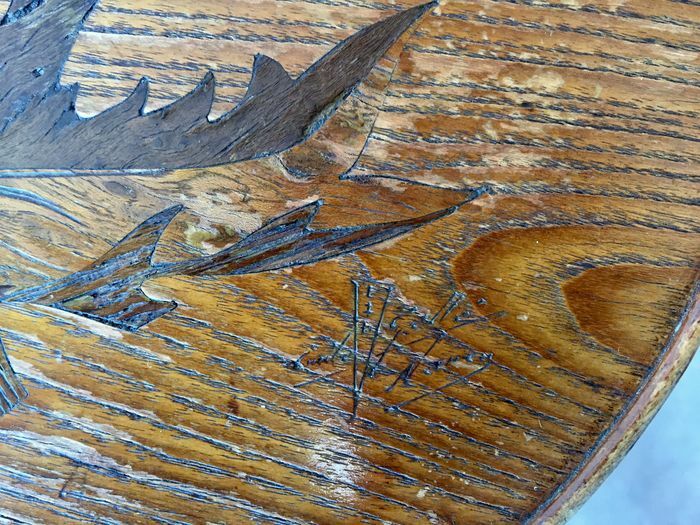 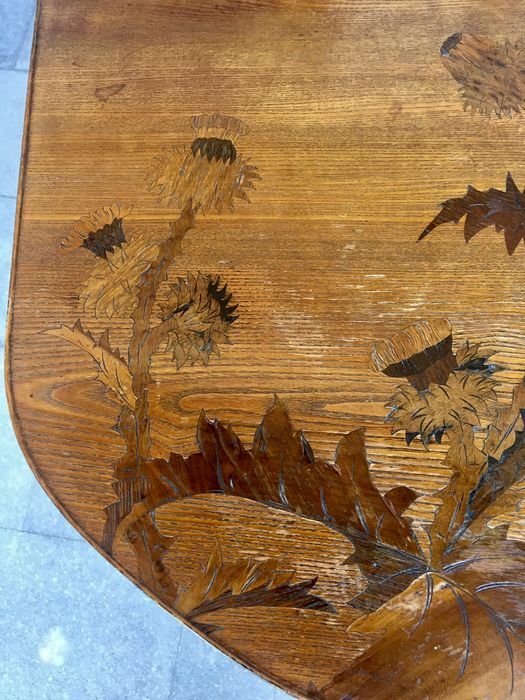 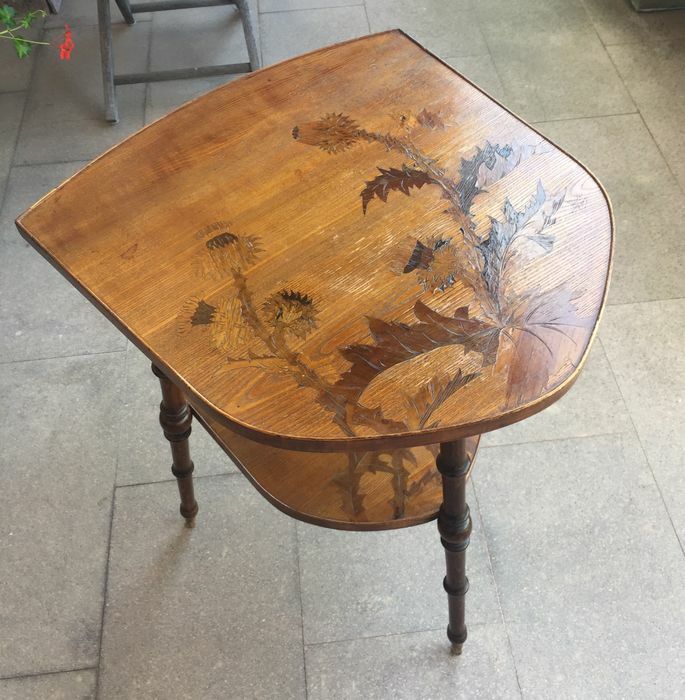 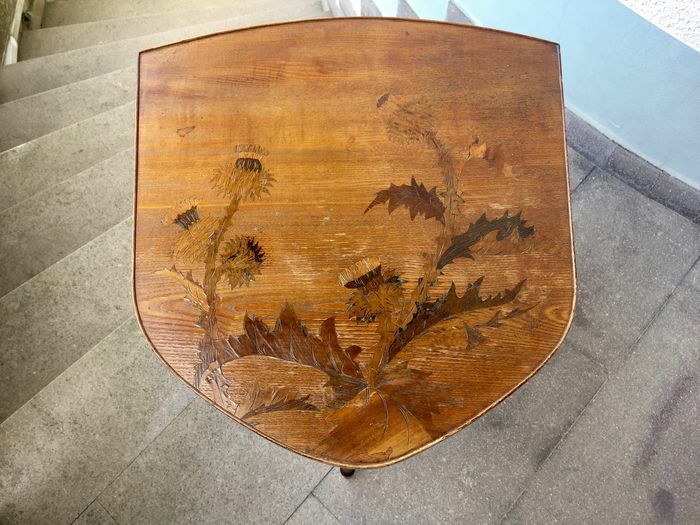 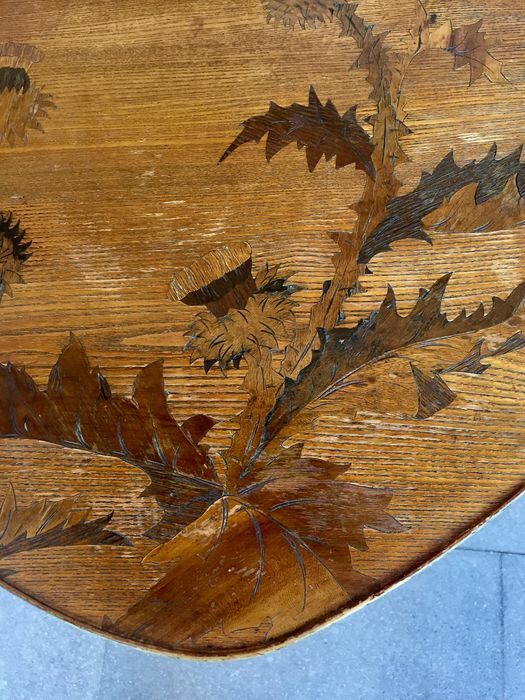 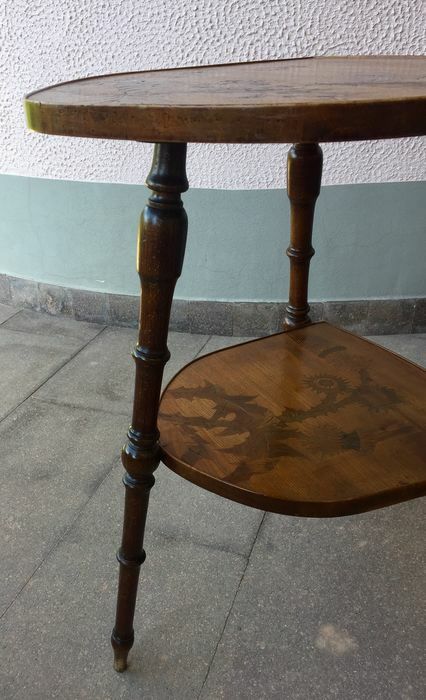 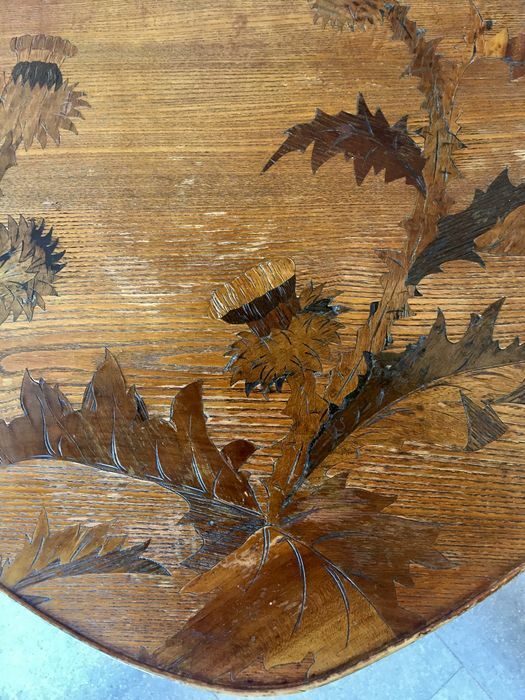 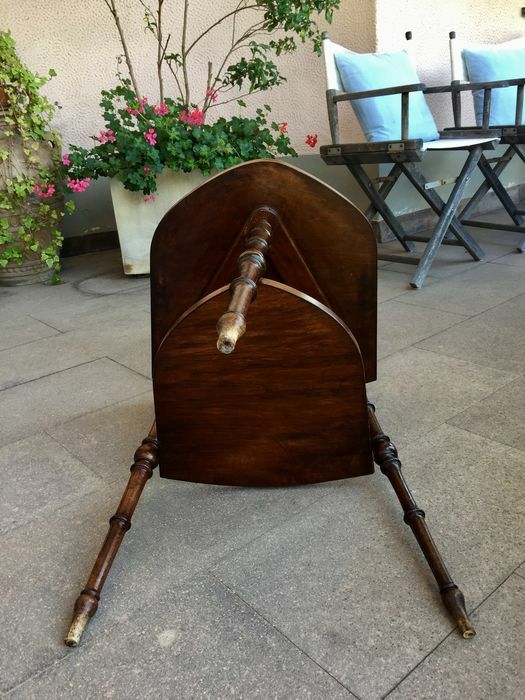 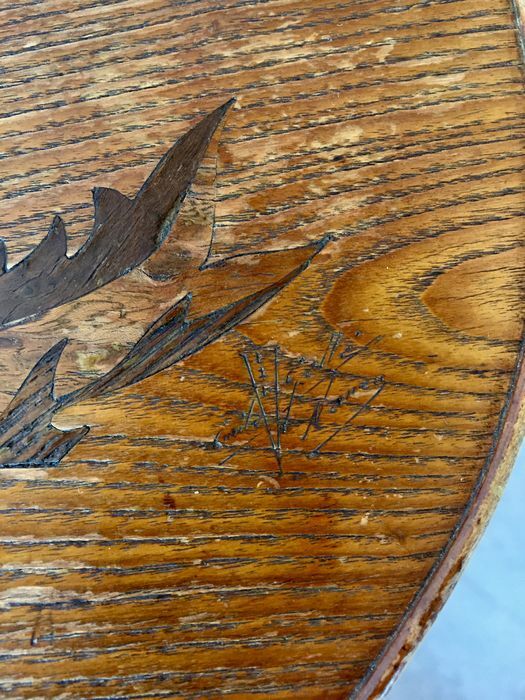 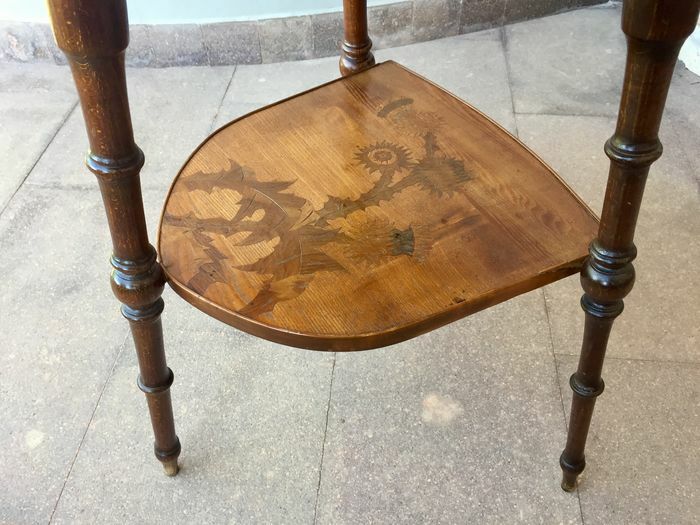 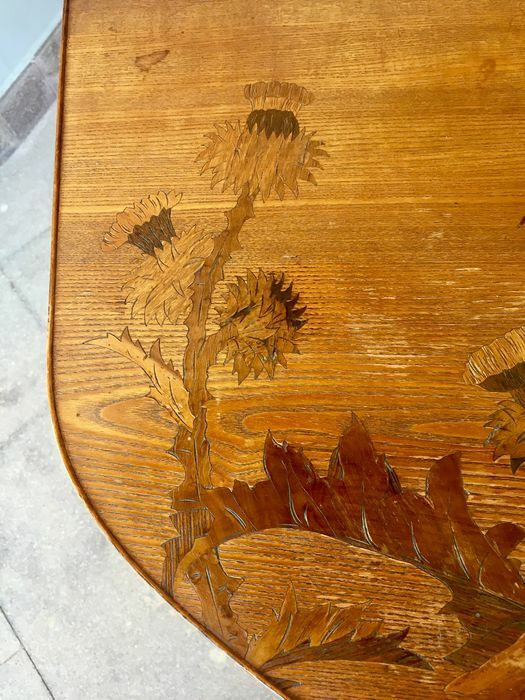 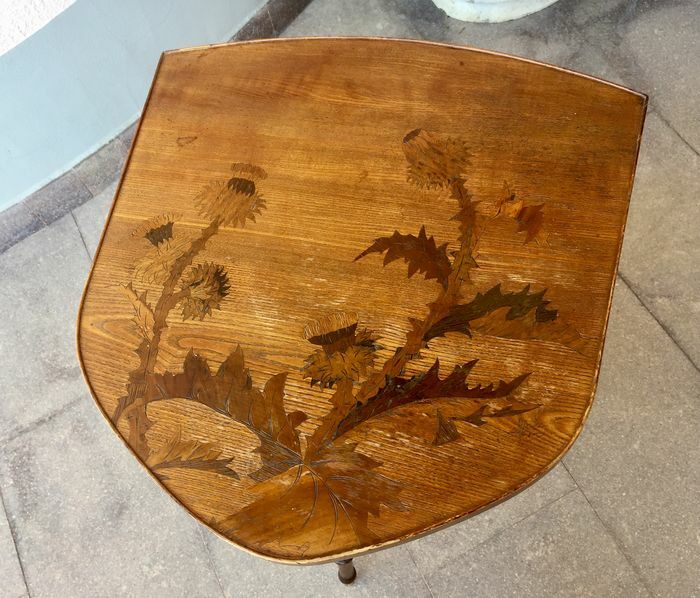 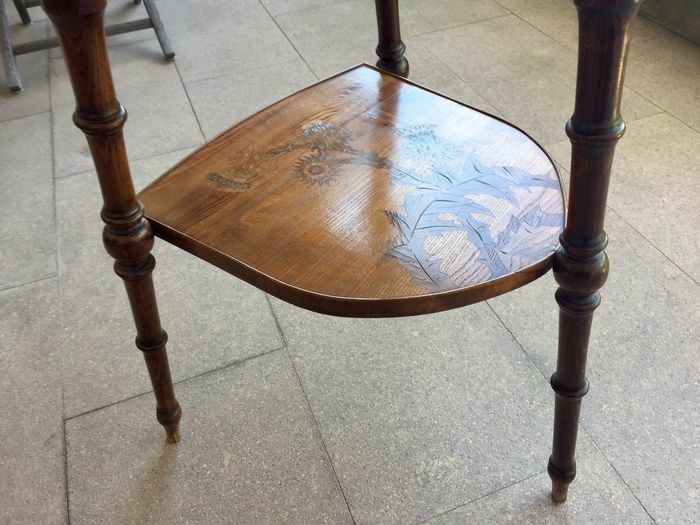 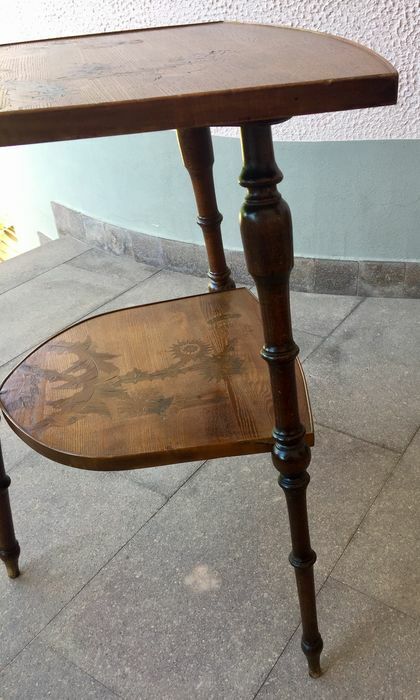 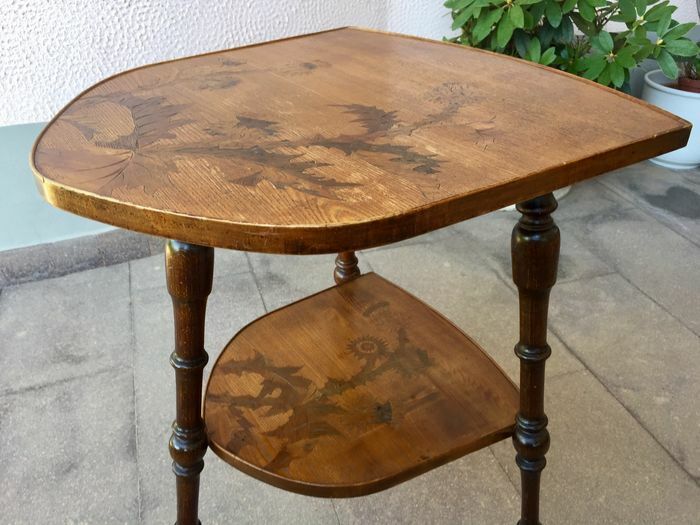 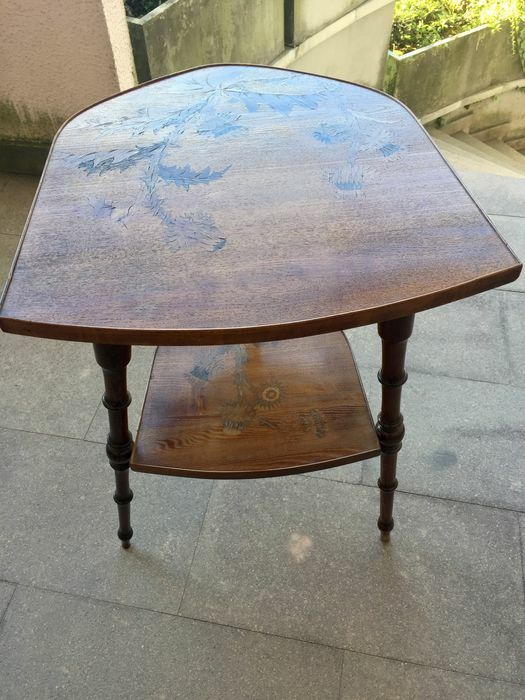 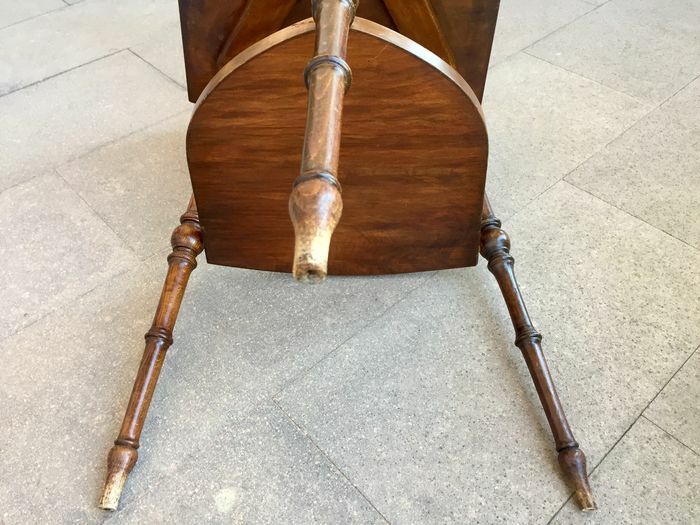 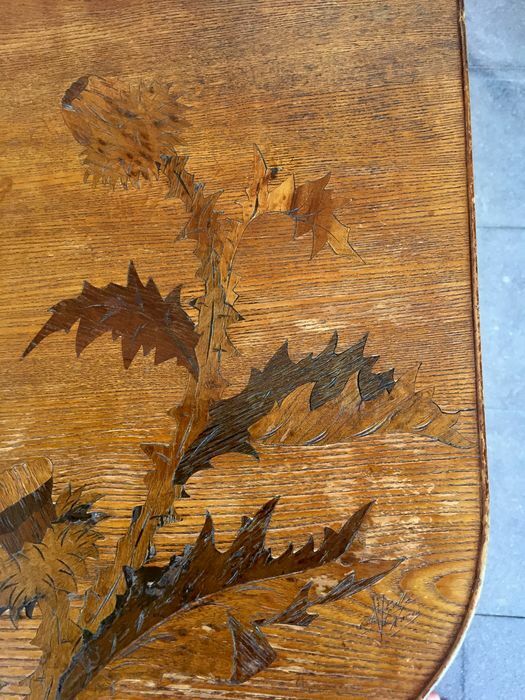 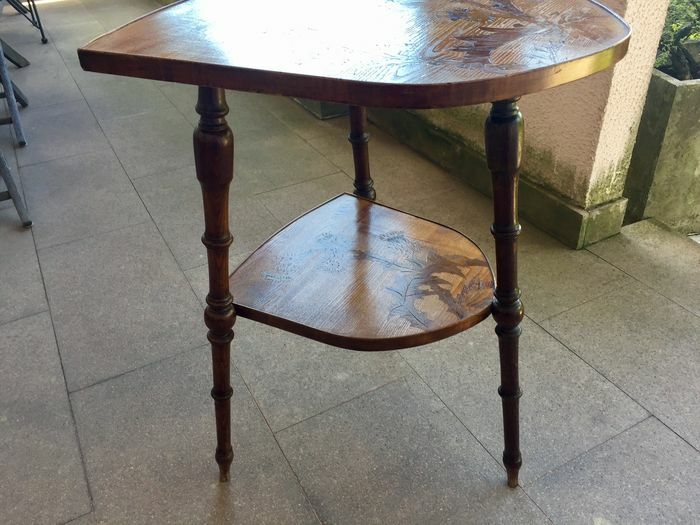 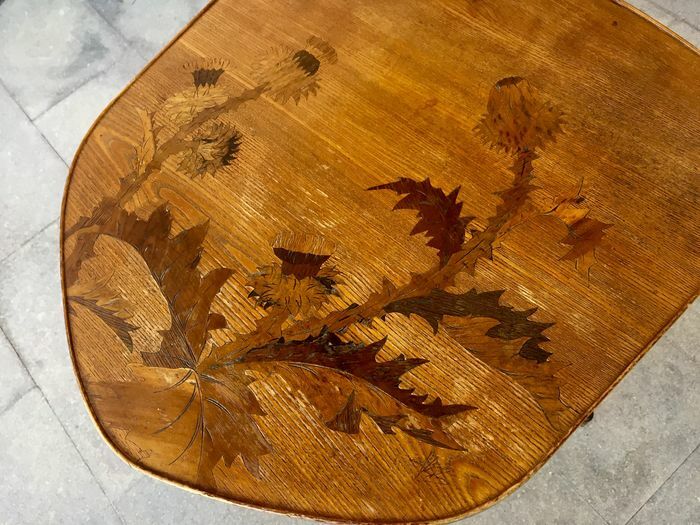 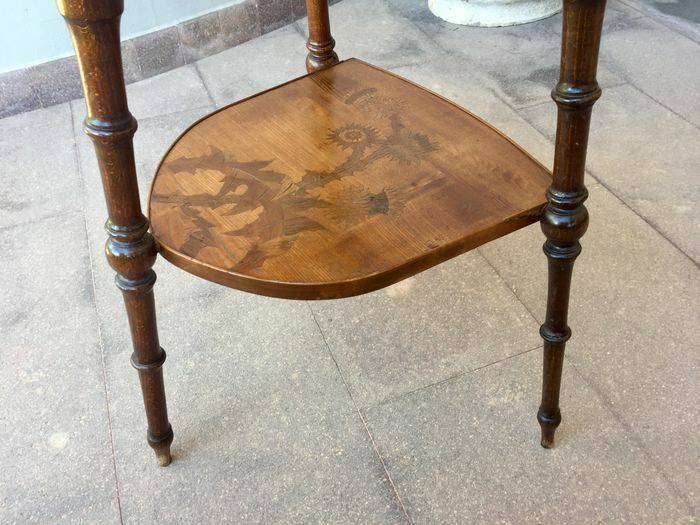 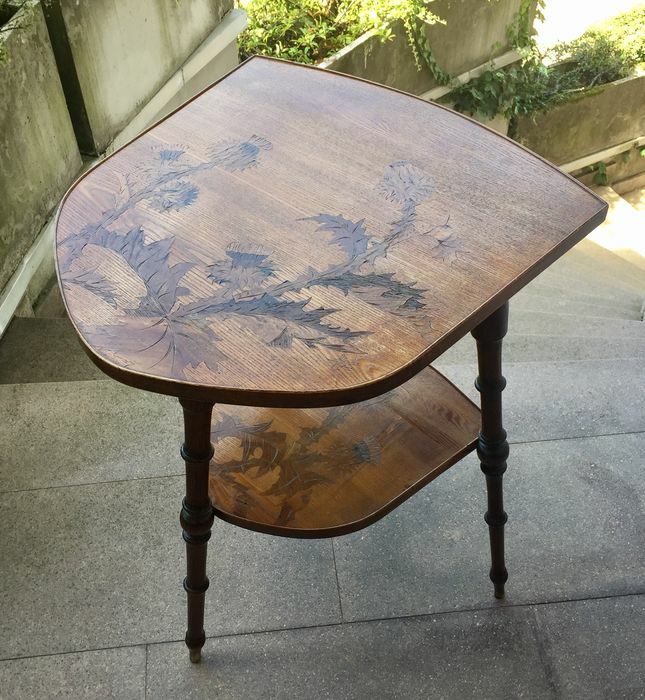 Special three-legged coffee table signed "Gallé" (see the classic artist's signature inlaid on the table from the photographs), made of dark walnut wood, carved and inlaid with floral motifs and with different wooden inserts. 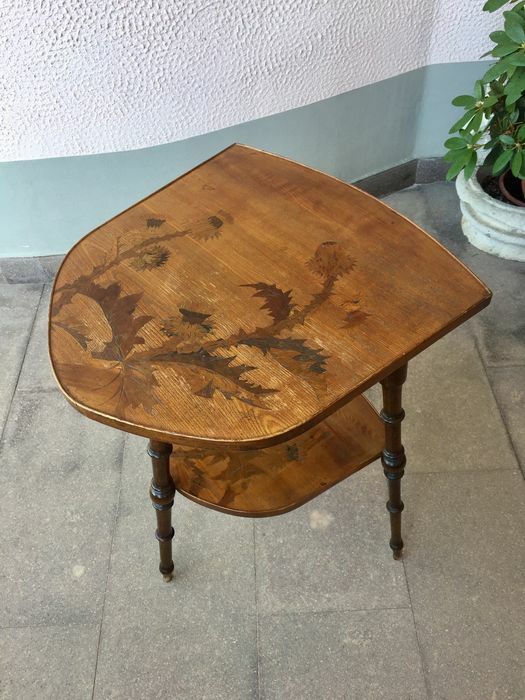 The object was created by this French artist, one of the leading exponents of the Art Nouveau style in the late 1800/early 1900. 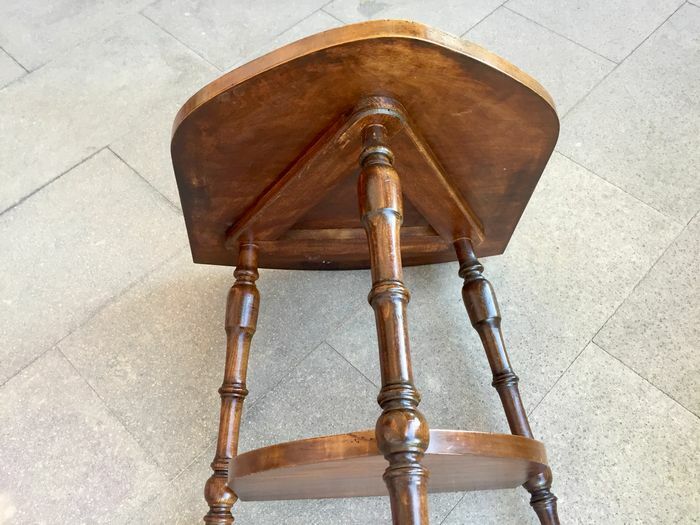 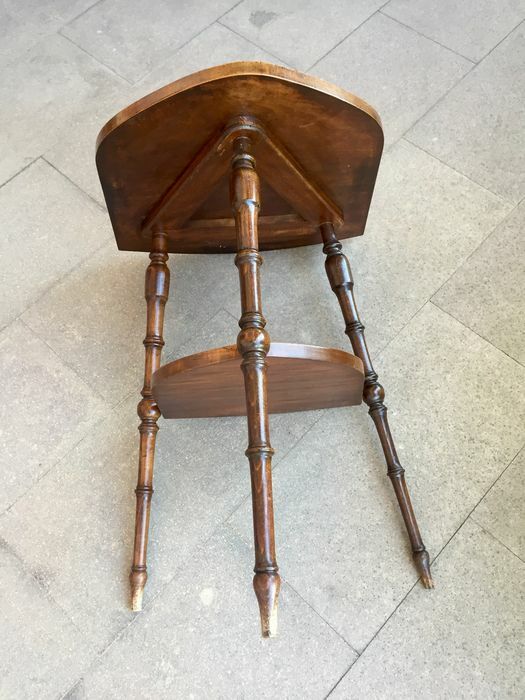 In very good condition, as shown in the pictures.